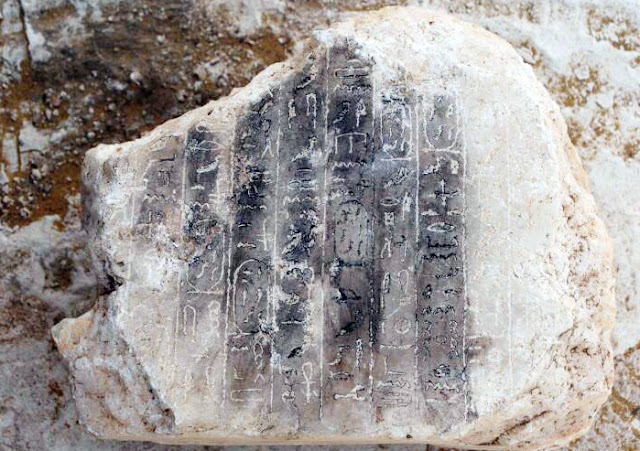 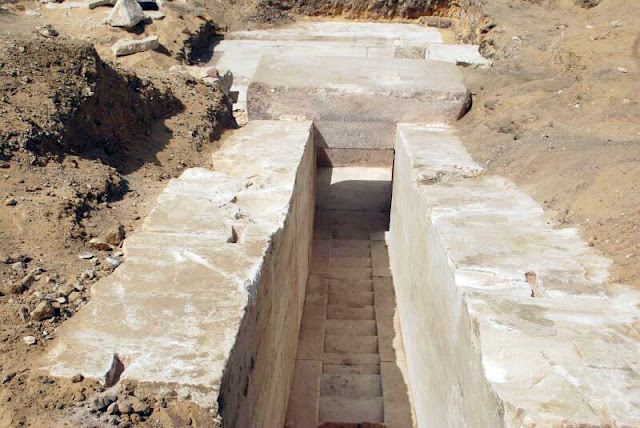 The Egyptian excavation mission working in the area located to the south of King Senefru's bent pyramid in Dahshur necropolis uncovered the remains of 13th Dynasty pyramid. 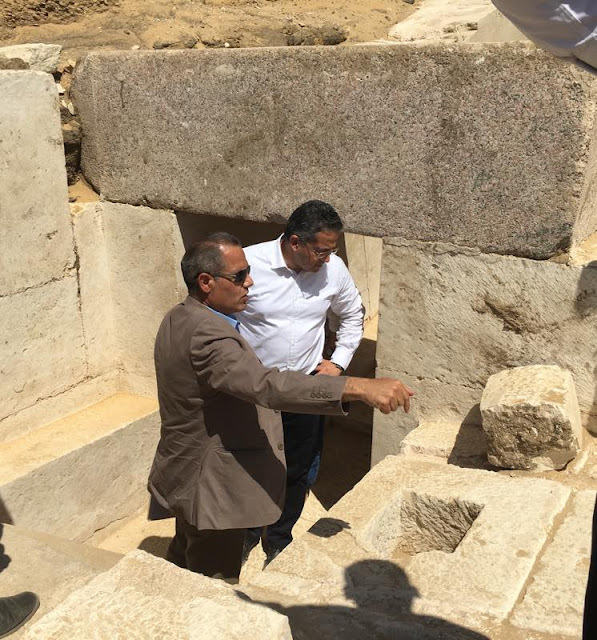 Head of the ancient Egyptian Antiquities Sector Dr. Mahmoud Afifi announced. 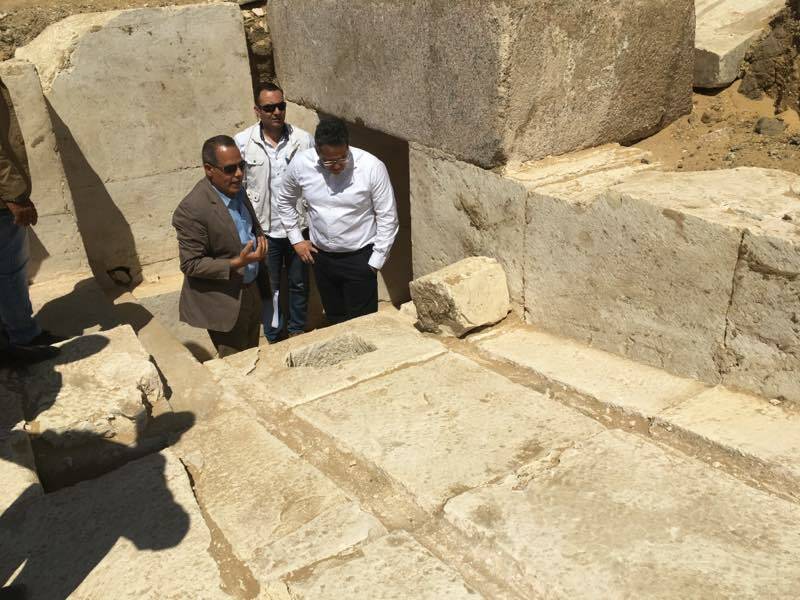 Alaa Al-Shahat, Head of the Central Administration Department for Cairo and Giza Antiquities asserted that all the discovered parts of the pyramid are in a very good conservation condition and further excavation is to take place to reveal more parts. 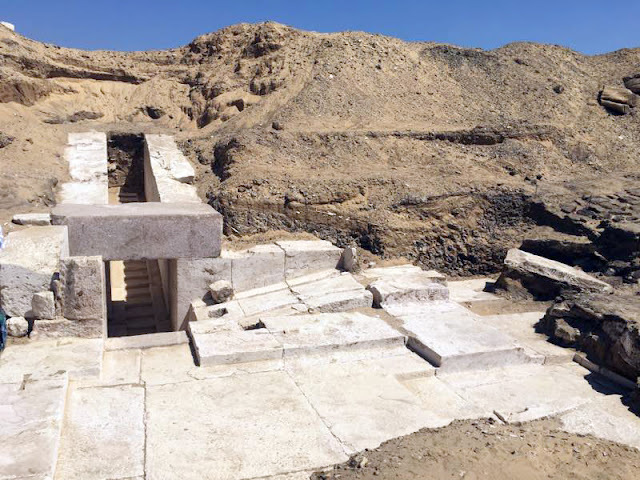 engraved with ten vertical hieroglyphic lines was also uncovered as well as a granite lintel and stoney blocks showing the interior design of the pyramid.